Fairy Steer Skull for Gypsy Miniature Fairy Gardens. 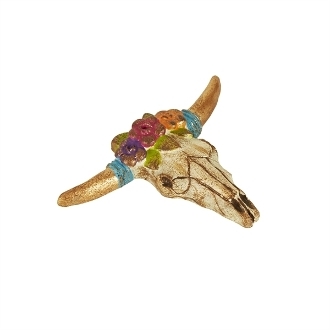 Full Description: Give your mini garden a southwest feel with mini cow skull. Designed by Genevieve Gail, this boho piece features gold accents and all-weather paint.